Aneta Marsek, Chevelle Marsek (top right) and Macenzie Marsek (bottom right). A missing Volo woman and her children have been found safe in the Wisconsin Dells, police said. Aneta Marsek, 33, and her two daughters, 2-year-old Chevelle and 4-month-old Macenzie, had not been seen since about 7 p.m. on Oct. 6 when they left her parents’ home in Wauconda. Lake County Sheriff Mark C. Curran, Jr. released a statement Monday confirming the mother and two girls had been vacationing in the Dells. He said they were found "relatively healthy and safe." The father of two young girls alleged in court documents filed Thursday that his estranged wife ran off with the kids in another attempt to keep them from him and to avoid a hearing which was to set a visitation schedule. 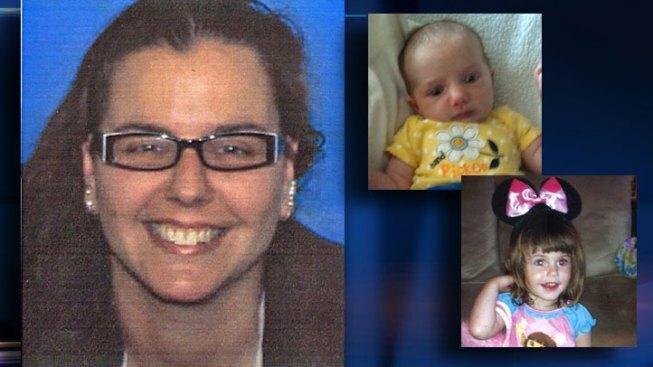 Aneta Marsek, 33, and her two daughters, 2-year-old Chevelle and 4-month-old Macenzie, have not been seen since about 7 p.m. Saturday, Oct. 6, when they left her parents home in Wauconda. Dan Marsek said Aneta Marsek has disappeared three other times this year; in January, March and May. The Lake County Sheriff's Office said more information will be forthcoming. Aneta Marsek and her two daughters were last seen Saturday evening after a visit with family. Phil Rogers reports.